Summary The people here at Apple don’t just create products — we create the kind of wonder that’s revolutionised entire industries. It’s the diversity of those people and their ideas that inspires the innovation that runs through everything we do, from amazing technology to industry-leading environmental efforts. Join Apple, and help us leave the world better than we found it. We are growing and urge you to apply. We believe the role would place you in a highly-energised environment with some of the most talented individuals in the industry where you would be inspired to share your years of experience along with providing extraordinary support for the team. We are seeking an expert in licensing rights in musical compositions to lead commercial relationships relating to such rights. This is a key role to support the rapid expansion and growth of Apple Music, iTunes and all use of musical compositions across the Apple ecosystem. Key Qualifications You have exceptional understanding of the global music publishing licensing landscape. You have an intimate understanding of the digital music and content distribution industry. You have superior business development and partnership management skills. You have a proven track record working in international, cross-functional teams and a fast-growing environment. You have excellent presentation, written and verbal interpersonal skills. You have a willingness to travel. Description - Build relationships and manage business relations with music publishers and collecting societies in international territories (outside the US). - Analyse, interpret and understand data showing the impact of various features and programmes on collecting societies, music publishers and songwriters. - Conduct regular business reviews with applicable music publishers and collecting societies to track performance and find opportunities for growth. - Work in close partnership with Legal and Operations to support their work on licenses with publishing rights holders to support the expansion of new markets, product features, pricing and commercial programmes designed to accelerate the growth of Apple Music. - Scope business and financial models for new partnerships, programmes and other business initiatives in collaboration with the Business Development team. - Work collaboratively with all aspects of the Music Publishing team to find ways to better serve the music publisher and songwriter community, with a view to beneficial outcomes of that closer and more positive relationship, thereby helping to ensure that music services meet the needs and expectations of customers. Education & Experience BA/BS degree in Business or related subject, MBA or equivalent degree preferred. You have experience working in commercial and/or licensing roles within the music industry, ideally within music publishers or music services. Additional Requirements This position is part of the new Global Music Publishing group and is based in London, UK. Apple is an Equal Opportunity Employer that is committed to inclusion and diversity. We also take affirmative action to offer employment and advancement opportunities to all applicants, including minorities, women, protected veterans, and individuals with disabilities. Apple will not discriminate or retaliate against applicants who inquire about, disclose, or discuss their compensation or that of other applicants. We are hiring an Associate of Strategy & Business Analytics to join AWAL’s Strategy & Business Development team in LA. This is an exciting opportunity for an individual to drive strategic analysis and provide insight for key business decisions by AWAL’s senior management team and other stakeholders. The Associate will focus on research and analysis for a variety of exciting business initiatives, value a combination of artist, label and strategic partnership deals, and provide general support for strategy and operational projects across AWAL. Our ideal candidate will need to be comfortable with ambiguity and handling complexity in a fast-paced environment. He/she should be highly proficient with data analytics and possess the ability to analyze large, complex datasets with excellent modelling skills. He/she should also be strong at project management and proactively driving one’s own projects. 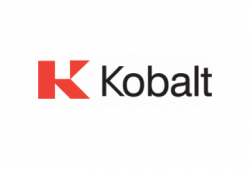 BACKGROUND Kobalt has revolutionized the music publishing business by putting the creator at the center of everything we do. We are now taking the same approach and transforming the way recording artists release music through AWAL. Whether an artist is looking for the best digital distribution or a truly global campaign, AWAL has become the partner of choice for innovative artists at all stages of their careers. This has created a high-quality path for artists to remain outside of the traditional label system while maintaining ownership of their masters. Our roster of clients includes artists such as Lauv, Rex Orange County, Tom Misch, Steve Lacy, The Wombats, Gus Dapperton, Little Simz and more. We’re currently over 500 people based across 10 offices and we’re expecting to grow. That’s where you come in. If you feel like the fast-paced, rewarding environment of our rapidly growing company is for you - share your story! Apply today and tell us why you are the next best addition to our successful team! WHAT DOES AN ASSOCIATE OF STRATEGY & BUSINESS ANALYTICS DO AT KOBALT? Deep quantitative and qualitative analysis to deliver insights Internal analyses to deliver insights on our businesses and support growth & improvement initiatives Ownership over core end-to-end data analysis (understand data, query, clean, structure, analyze, model, present) Run financial analysis of artists and label deals Assist with financial due diligence of partnership and M&A opportunities Support various BU strategy & operational projects Develop & deliver high-quality presentations for senior stakeholders on key opportunities, challenges, etc. WHAT SKILLS AND EXPERIENCE ARE WE LOOKING FOR? Bachelor’s degree from a top-tier university, preferably with a quantitative background 2+ years of research and analysis experience, with affinity for problem-solving Strong ability to structure and conduct quantitative & qualitative analyses Strong business sense and ability to identify implications Strong organizational skills Strong communication skills – written & verbal Excellent skills in MS Excel and PowerPoint; experience with SQL preferred Ability to efficiently manage multiple projects, data inputs and stakeholders within tight deadlines Kobalt is an equal opportunity employer encouraging diversity in the workplace. All qualified applicants will receive consideration for employment without regard to race, color, national origin, gender, age, religion, disability, sexual orientation, or veteran status, or any other status or characteristic protected by law.